Dr. McDonald has been serving the natural healthcare needs of Athens area families for nearly 20 years. He was previously in clinical practice at NEWS from 1998 to 2011, where he practiced Integrative Medicine with Drs. Elizabeth Schultz, DO and Kirk Melville, MD, in Watkinsville, Georgia. He specializes in Acupuncture, Oriental Internal Medicine and Naturopathic Internal Medicine (botanical medicine, functional medicine, homeopathic medicine and nutritional medicine). He is currently in private practice at 999 Baxter Street, Suite B, Athens, GA, 30606. Dr. McDonald graduated from Five Branches University with his Doctor of Acupuncture and Oriental Medicine (DAOM) degree. His combined education in Oriental and Naturopathic medicine total over 12 years. His Oriental medical education also consisted of a four-year Masters degree from East West College of Natural Medicine and a one-year postgraduate internship with Dr. David Cohen, DO, FAAMA (Fellow of the American Academy of Medical Acupuncture). His postgraduate specialty with Dr. Cohen was done in French Energetic & Electro-Acupuncture. Prior to his Oriental medical education, Mel spent six years earning two doctoral degrees (Doctor of Naturopathy-distance learning and Doctor of Naturopathic Medicine-residential). His Naturopathic medical education is over and above the usual four-year education at most residential naturopathic schools and was combined with a three-year externship at NEWS, which totaled over 3,000 clinical hours alone with an additional 2,000+ hours didactic. Dr. McDonald is a Licensed Acupuncturist (LAc) in the State of Georgia and the State of Colorado. He is a Federally Registered Naturopath in Washington, DC. Dr. McDonald is Board Certified (NCCAOM) in Oriental Medicine (Dipl. OM) and Acupuncture (Dipl. 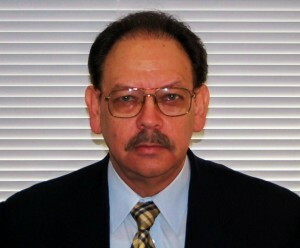 Ac), and he is also a Board Certified Naturopathic Physician (ANMCAB/ANMA). **Dr. McDonald is currently accepting new patients.